A chic mixed set of eleven green and clear Art Deco small cocktail glasses Circa 1930s. 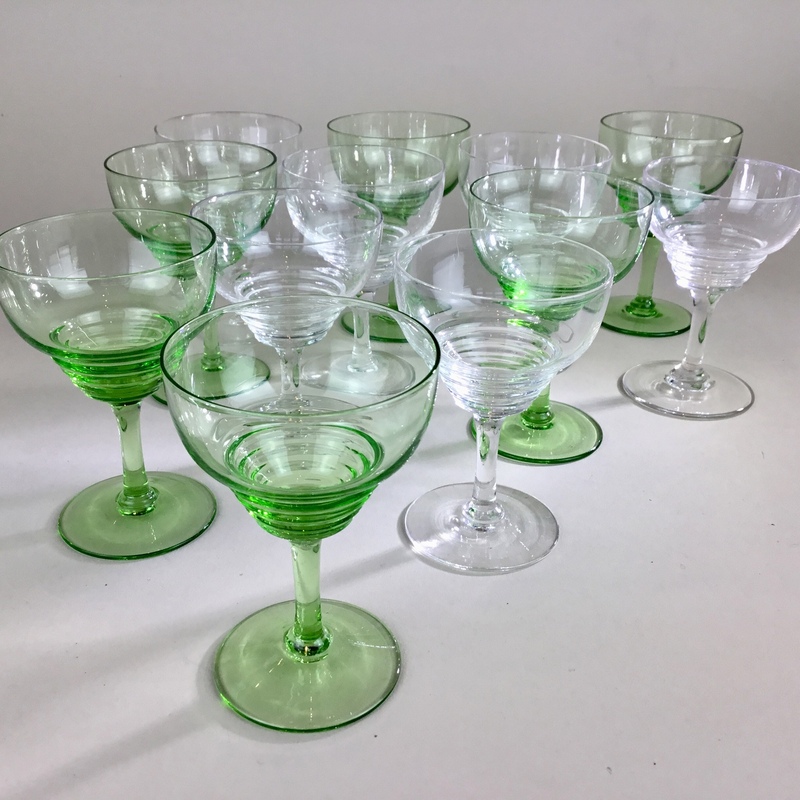 Antique Uranium glass is brilliant - it actually glows, a bit like your watch, which looks sensational at night. 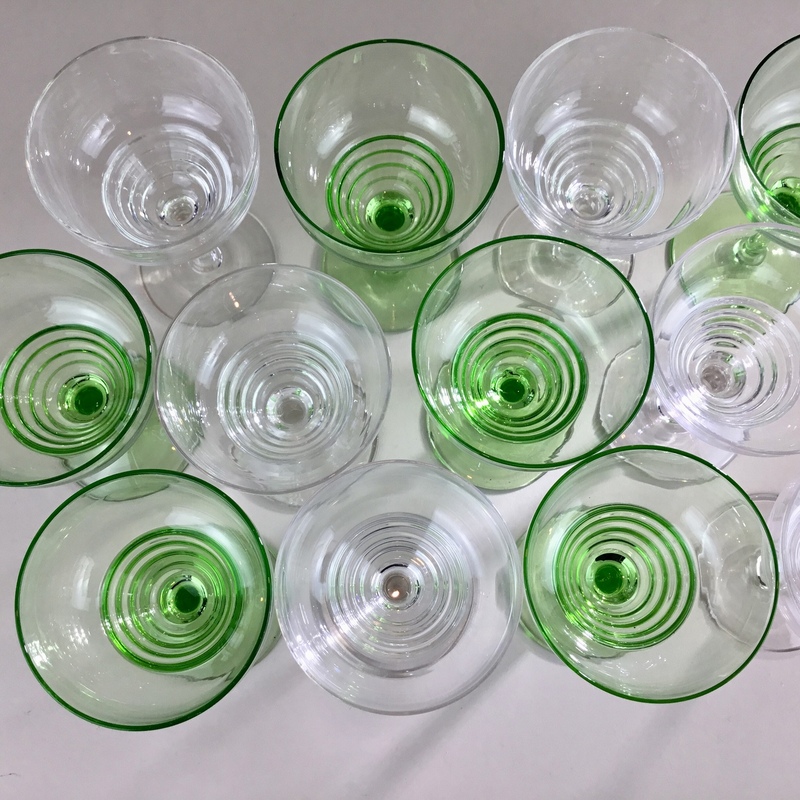 The green glasses from this unusual set of Art Deco small cocktail glasses has the smallest trace of uranium so that the glasses have the faintest glow to them, hopefully shown in the images! 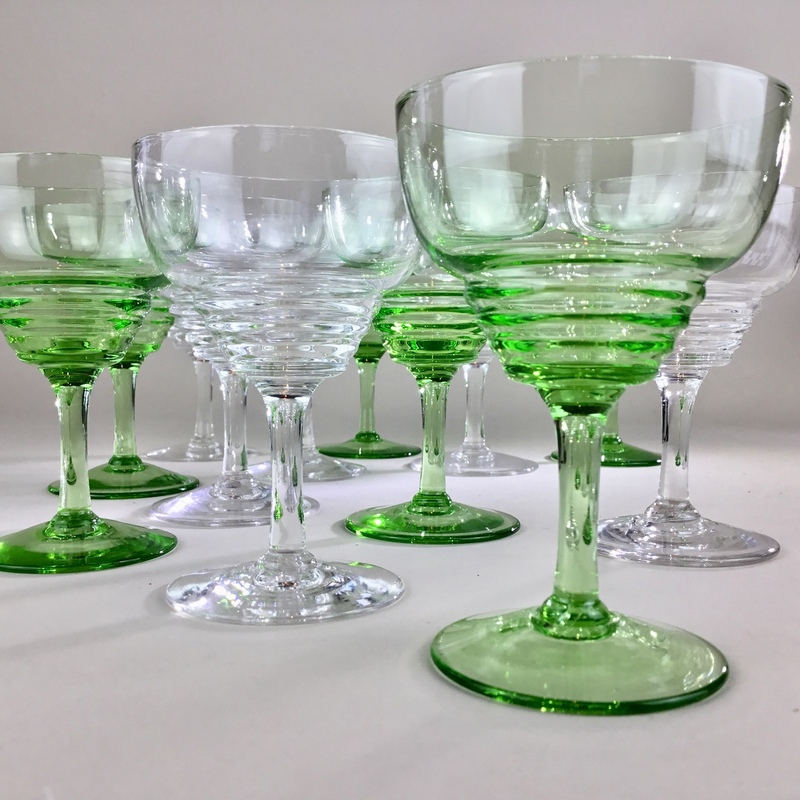 The style of glasses is pure Art Deco with a ribbed base to the base of the bowl. 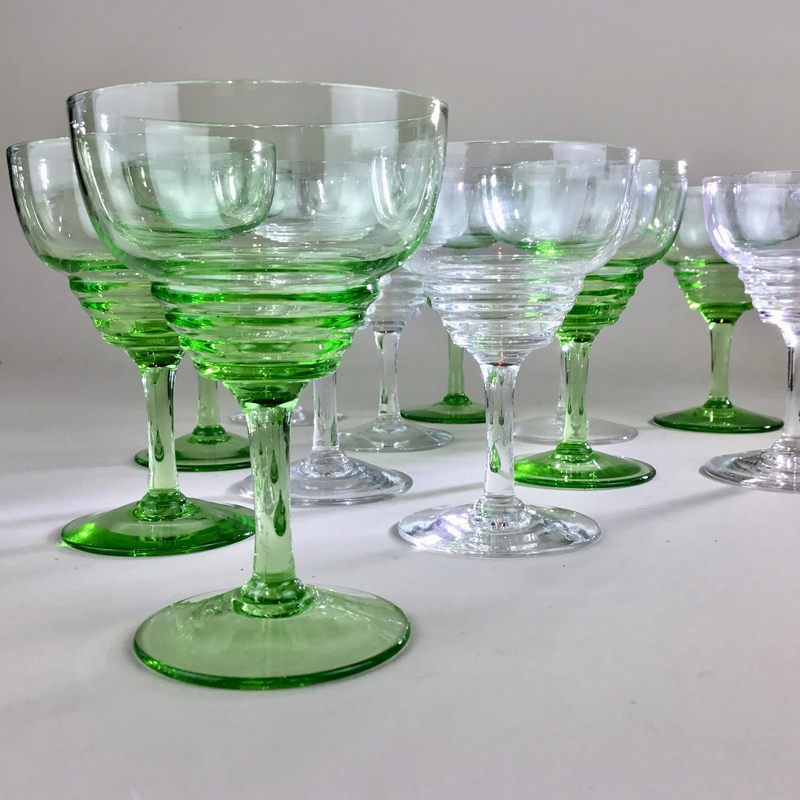 *there is a twelfth (green) glass with a hairline crack in it, although still usable as a 'Hostess' glass. 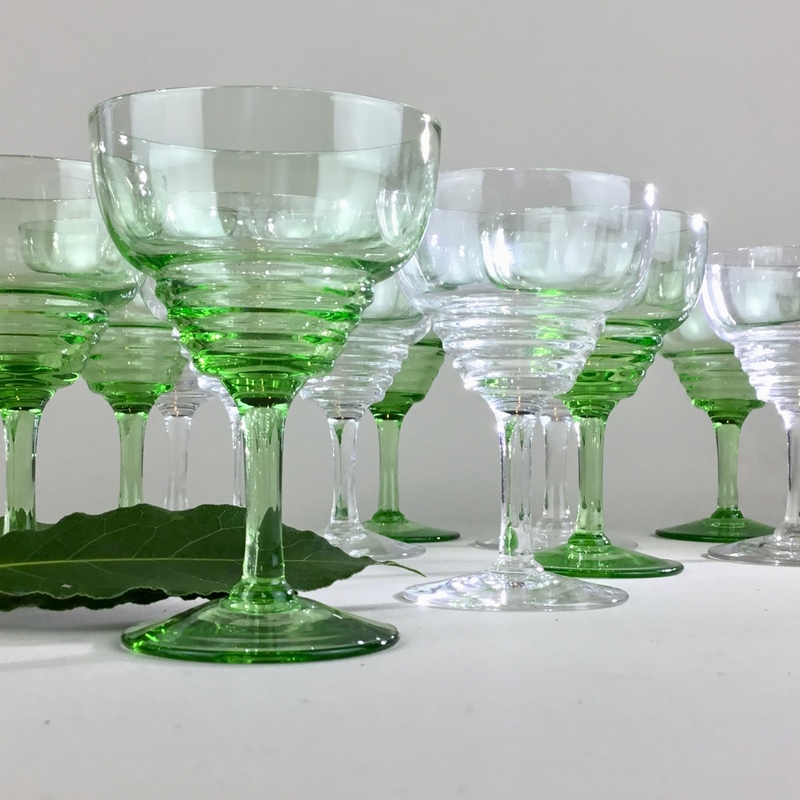 It is included in the set at no charge.